The Xiaomi Mi Band has garnered a lot of industry attention since its announcement in July 2014, mostly thanks to its rock-bottom price of $13. Many have speculated about the ramifications of this to the leading fitness tracker companies, whose device prices average at closer to $120. The Mi Band debuted in China in the fourth quarter of 2014, and had sold 1 million units by the end of the year. 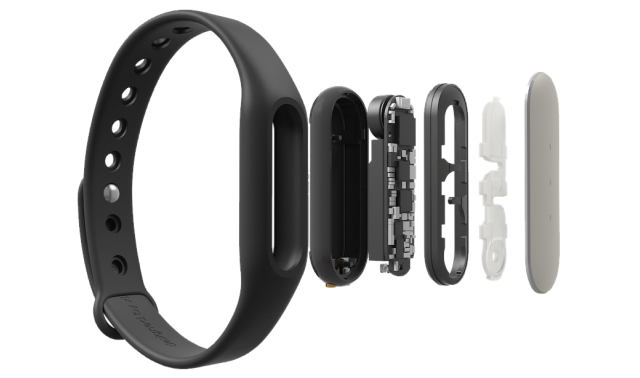 Xiaomi's Hugo Barra, Vice President of International, revealed that the device is currently shipping the rate of 1 million units per month (market leader Fitbit sold 3.9 million units in the first quarter of 2015). This month, Xiaomi officially launched its Mi.com store in France, Germany, the UK and US. The company conducted a smaller-scale test launch in May (see Daily Insight: 10 Items or Fewer) during which I tried to purchase the Mi Band. However, the device had sold out by the time I'd registered, and the shipping, tax and duty charges for the $14.99 tracker brought my order total to $41.98. I later bought the band for £15.69 ($24.13) from an unofficial distributor on Amazon UK. I'm impressed by the Mi Band's hardware: it's slim and comfortable, has a remarkable 30-day battery life and the ability to record steps and sleep. It also offers attractive features including the automatic tagging of activity and noting when the user has fallen asleep. The tracker can sync with Android and iOS devices, has an alarm, vibrates for incoming calls and can be customised with interchangeable rubber wristbands. The band is also compatible with the Apple Health and Google Fit platforms, giving users the choice to aggregate their data in one place. 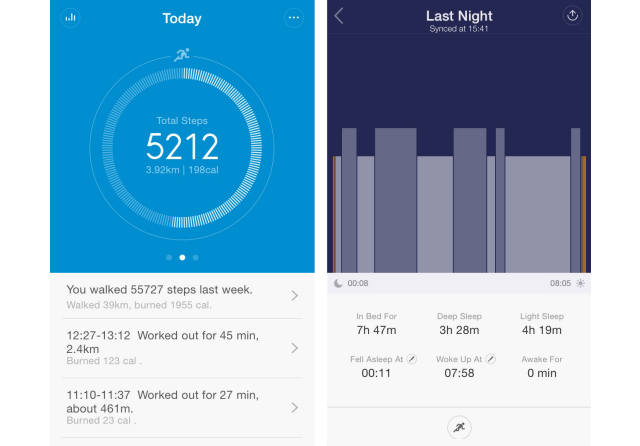 The app reflects the device's $13 price tag, displaying only a basic breakdown of activity and sleep. This amounts to a poor experience compared with software from leading companies, omitting the deeper analysis and lifestyle tips provided by the likes of Fitbit, Jawbone and Withings. One of the biggest downsides is that there's no way of interacting with the band on your wrist — it doesn't have any buttons, and a "double tap to show progress" feature is missing for now. The Mi Band also lacks the additional features usually found on activity trackers, such as a smart alarm or idle alert. For its price, the Mi Band is an excellent first attempt by Xiaomi. It's great for those who have heard the buzz about fitness trackers but are reluctant to pay $100 or more for something they might not like, and Xiaomi is addressing the app's shortcomings with incremental updates almost every other day. The band's price and sales pose a clear threat to more established suppliers in the fitness tracking segment of wearables. Fitbit's recent initial public offering filing showed that it's selling devices at a 49% gross margin. The emergence of companies like Xiaomi offering fitness trackers at prices close to the bill of materials brings the sustainability of such high margins into question.